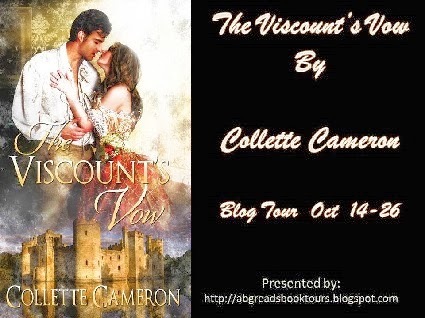 Love Saves the World would like to welcome Collette Cameron and her book, The Viscount's Vow. Half Romani, half English noblewoman, Evangeline Caruthers is the last woman in England Ian Hamilton, the Viscount Warrick, could ever love -- an immoral wanton responsible for his brother’s and father’s deaths. 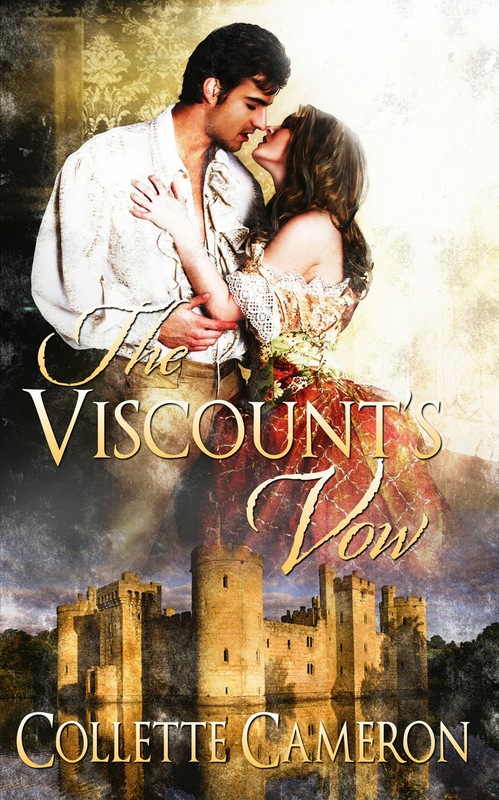 She thinks he’s a foul-tempered blackguard, who after setting out to cause her downfall, finds himself forced to marry her -- snared in the trap of his own making. He guided her onto the rear terrace. Vangie stood gazing at the beauty before her. Weathered, whimsical stone statuary speckled the gardens and pathways, though several were chipped or missing limbs. Apparently, at one time, one of the gardeners was adept with sheers. Several evergreens had been sculpted into fanciful topiaries, though it was difficult now to determine precisely what some of the shapes were. “Ian, is that a horse?” She pointed to the four-legged bush. He cocked his head and studied the shrub. A deep chuckle rumbled through his chest. “Can we walk the gardens?” Three weeks of staring at them from the tower window made Vangie eager to explore the gardens in person. Vangie laughed. She’d not felt this carefree in ages. His good humor was contagious. And the sun felt marvelous. Closing her eyes, she turned her face upward, savoring its warm rays. A soft kiss brushed her mouth. Her eyes flew open. She stared at his finely sculpted lips. They had been warm and soft on hers. Her tongue trailed the seam of her mouth trying to capture the sensation of his lips on hers again. Some of Collette's favorite things include unique blends of coffees and teas, trivia, Cadbury Milk Chocolate, inspirational quotes, and scented candles. Her Christian faith, husband, three adult children, and five miniature dachshunds round out her life quite nicely! When she's not teaching or writing, she is a content and copy/line editor for an Ebook publisher, enjoys amateur photography, bird watching, gardening, interior decorating, rock-hunting, boating or fishing on the Columbia River, and reading of course. This is a wonderful book!! Tweeted. Thank you for dropping by and for helping me promote this book!